The music industry has changed and I no longer have to buy music CDs for every album. This is especially amazing for the customers and now I can stream multiple albums and artists for a nominal fee per month. Here I have compiled a list of top free music streaming apps for Android and iOS. Let’s get started. Spotify is one of the most popular music streaming app with over 30 million songs in their library. The app features a dark UI and is consistent among all platform. Some unique features of Spotify include a private listening mode where you can keep your songs private and listen to all your guilty pleasures like any of Tay Tay’s (Taylor Swift) tunes. Another one I like is the Discover weekly thing, where Spotify curates a playlist for you with music that you could you like. And I’ve to say, their algorithm is quite good actually, so far it’s pretty accurate. However, it still is only available in a few countries. Fortunately, even if Spotify is not officially available in your country, you can still sideload both free and paid version of Spotify using a VPN and gift cards. Platform: Spotify is available for the web, has desktop apps and of course apps for Android and iOS. Recently, Spotify launched for Apple watch that allows you to change the music on an iPhone playing Spotify. Price: You can either stream ads supported free music on Spotify or pay $9.99 monthly subscription (or $4.99 for students in the US), to play on demand ad-free music along with offline playback and 256kbps playback. Spotify also has a family plan for 6 members that start for $14.99 a month. If Spotify is for the playlist, then Pandora is for radio. Once you open up the app, you need to create a new radio station, in which you need to add your favorite artist, genre or track in the search box on the homepage., say Pink Floyd. Pandora creates a radio station for you that includes music from Pink Floyd and a similar band like the rolling stone, led zeppelin etc. It has around 40 million soundtracks. And of course, the recommendation get better with time and your feedback. If Spotify is for on-demand music, Pandora is for music recommendation. 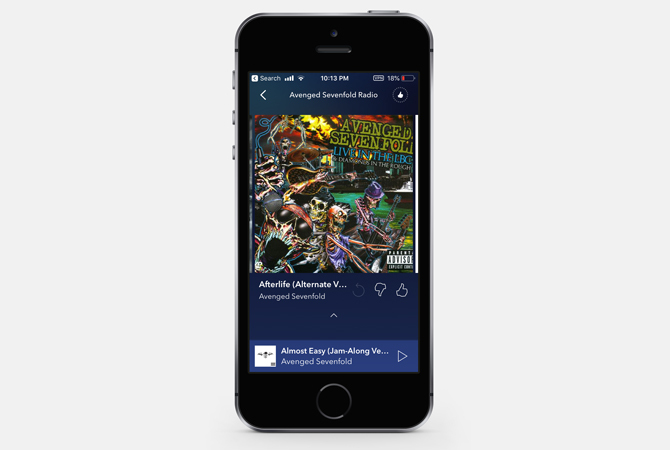 Platform: Pandora is available for both Android and iOS and Web. Price: Like Spotify, Pandora’s has an ad-supported free version or you can pay $4.99 a month for the plus version and you get access to unlimited skips, replays, and higher quality audio. But if you want, even more, you can opt for the premium version, which gives you access to entire song database and let you take your use music offline. Okay, so SoundCloud is a tad different from Spotify and Pandora. It helps you find small artists, that you’d never hear otherwise. Soundcloud curate music from independent artists, so the library is even bigger than and Spotify, however, it’ll take you some time to find the right music for you. In fact, we get background music for our YouTube channel from SoundCloud. And while it was hard to find the perfect music at first, once you do follow few artists that you like, Pandora algorithm automatically suggest similar artists in your feed. If we include all the user submitted tracks as well, Soundcloud features around 125 million soundtracks. 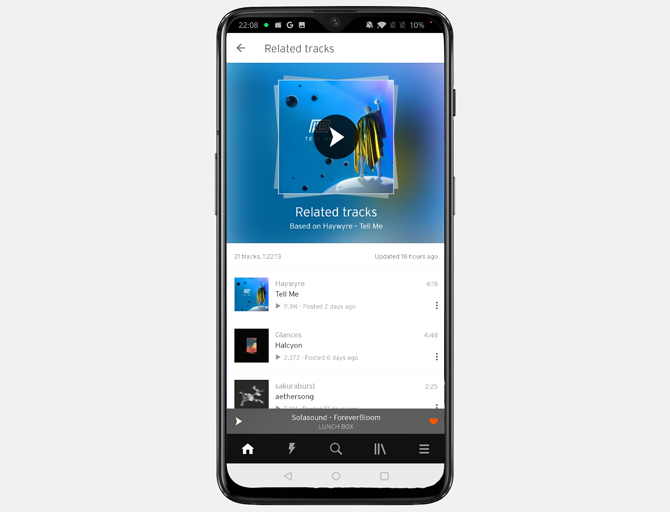 Platform: Soundcloud is available on android, ios and web. Links to all of these apps will in the video description btw. Price: Unlike, most songs are free to use for commercial purpose, you know, just in case you have a YouTube channel. The free version of SoundCloud is ad-supported, but you can always remove the ads and adds offline listening by paying $9.99 per month. 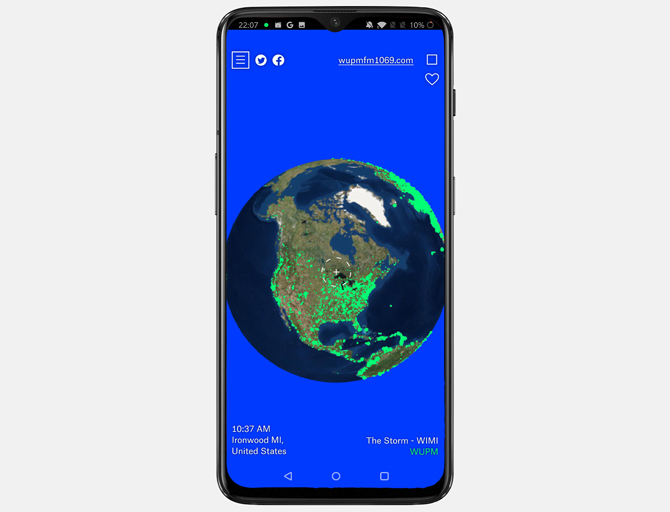 Unlike others, Radio garden lets you stream current radio from around the world. When you open the app, you see a globe with lots of green dots. This green dot represents a city. When you zoom in and tap on it to tune into the radio stations broadcasting from that city. It’s pretty cool though, which is why it made it to the list. Platform: It is available for both Android and iOS. 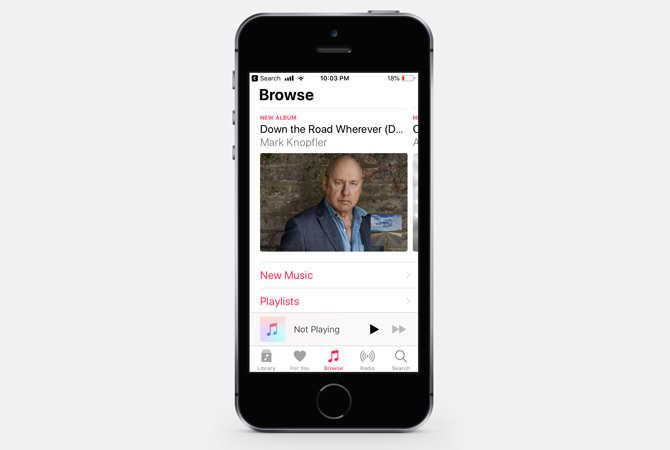 Apple Music is a fairly new service offered by Apple but it certainly lives up to the name. Not only you can listen to all the songs but music videos as well. It processes your music taste and spews new mixes every Friday tailored just for you. With the latest integration with Genius lyrics, you can listen to every song’s lyrics right on the app. 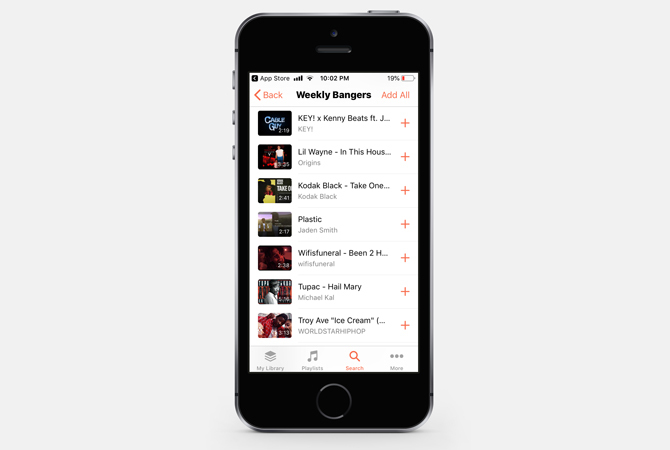 Might I add Apple music seamlessly work across the whole Apple Ecosystem? Apple boasts 45 million soundtracks on their library. If you are someone, who just wants to listen to their old music collection, then Google play music is your best bet. 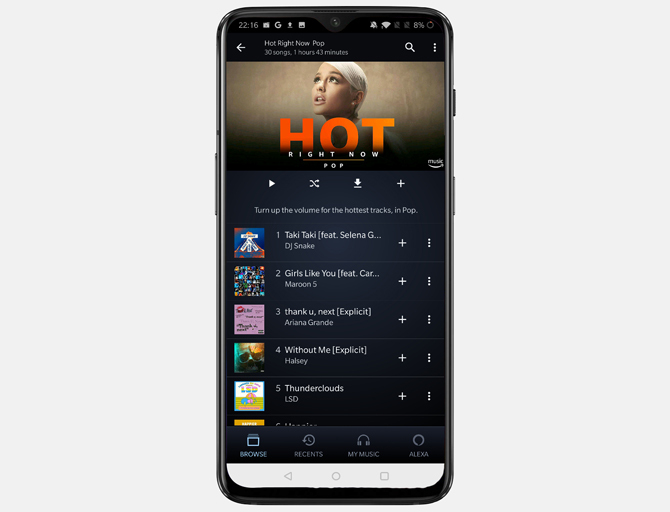 Now, don’t get me, Google Play music is a complete package, just like an Apple music, Google Play music also lets you search for music or artists to start streaming immediately. But the unique feature about Google plays music, is that you can upload up to 50,000 of your own songs to the Google server and then stream them from anywhere. Ad-free. Platform: It’s available on both Android and iOS. Price: Just like any other streaming service, if you decide to use it to stream on-demand music, you will have to sit through occasional Ads, which you can remove by paying for a subscription of $9.99 per month. If you have an Amazon Prime subscription, you get access to Prime Music for free. 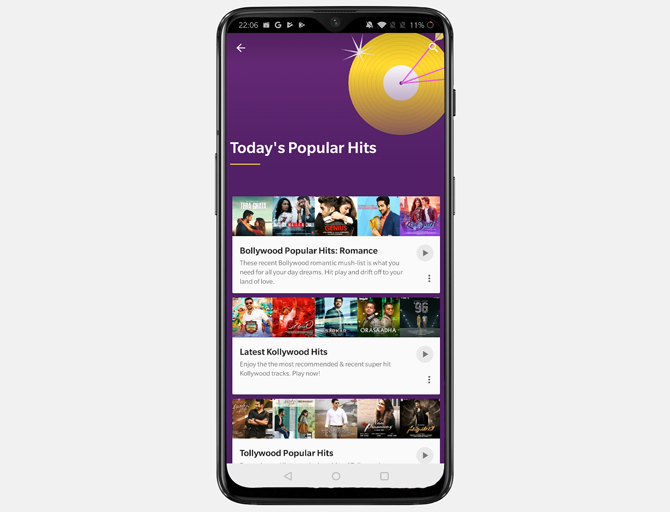 It’s kind of similar to Spotify and Google play music, where you can search and play your fav songs but with two major difference, there aren’t any ads and the catalog is much smaller than Spotify and googles play music. How small, well, the free version of Amazon music has 2 million songs, while apple music has 30 million songs. In my experience, if you listen to popular bands like Metallica and Pink Floyd etc, you can easily find them on amazon music. Overall, if you are a prime customer, it makes sense to try out Amazon music. Platform: Amazon music available for web, Android, iOS, Fire devices and of course Amazon echo series. Price: The prime members can get the larger Streaming Library for the discounted price of $3.99 per month. If you like streaming music from YouTube a lot then Musi is the app for you. Now, before we being, Musi is only available for iPhone. So, if you an Android user, who would like to stream YouTube music in the background, you try NewPipe. The app lets you add videos from YouTube and SoundCloud to your own custom playlists. But what unique about Musi is that it can keep playing music when you close the YouTube app. My fav feature though has to be the sleep timer. Perfect if you are like me who listen to YouTube before going to bed. 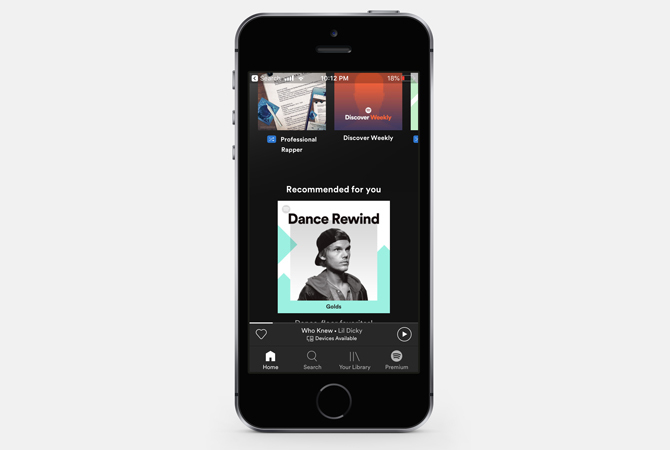 The Best Free Music Streaming Apps? The list has plenty of apps and you can choose the most suitable one for your needs. You can go with Soundcloud if you prefer local artists and Apple Music if you’re deep in the Apple ecosystem. We recommend Spotify for playlist and Pandoro for Radio. Tell us which is your favorite music streaming app in the comments below? Human. Writes about Tech. Dreams about Space.